Does Chile need Country Brand?? I´ve been working and travelling around Chile for nearly a year now and after visiting some of the touristic areas and getting to know first hand business experiences, institutions and organizations I have seen the great touristic potential that this country offers. 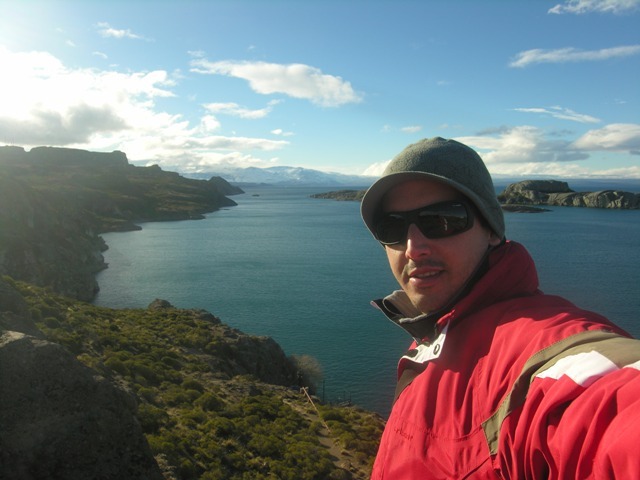 It has a diversity of ecosystems from the most arid desert of the planet, beaches, humid forests, lakes regions, and rivers with spectacular waterfalls or glaciers in the Patagonia, among many others. 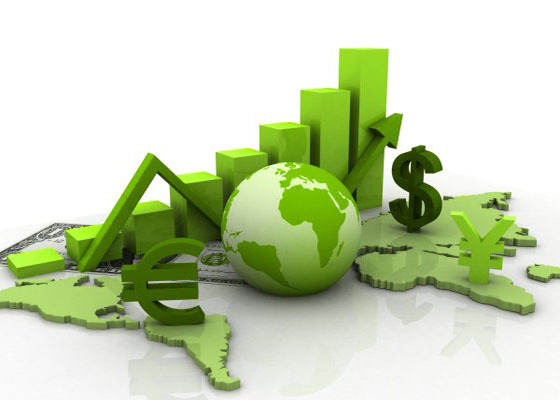 There is a big push from the government institutions thanks to the tourism strategy 2012-2020 and recently have developed a national Sustainability Distinction (Certification), economical measures and aid programs for implementing sustainable management systems. In the last report from the ATDI – Adventure Tourism Development Index, Chile was ranked first in 2011 as developing country with more potential in this type of tourism. All these and many other aspects that are happening in the country makes me believe that Chile is positioning as a touristic destination at international level. In my opinion there is only a small push needed to make tourism one of the driving forces of the economy. After carefully studying the tourism strategy, I see that is document with great potential if taken into practice but it seems that there is no common COUNTRY STRATEGY or BRAND, every territory seems to be competing with each other and not combining effort. There is no clear message from the authorities of the possibilities as a country; it’s missing the definition or how con it can be identified or differ from other destinations. The strategy must arise from a participation process and a consultation that implies all the stakeholders, from the local population, institutions, private companies or NGOs, among others. Is necessary that the strategy comes from the Chilean society and that they feel identified so that it can work and have the expected results! I leave you with this last comment and please feel free to leave your thoughts. I´ve heard many different people argue that there is such a great diversity along the immense territory that it’s never been possible to create a general compelling message for the country. I believe that the Country brand should be that diversity. Come and discover the great diversity at the end of the world. This is just an example with which I want to begin a debate to helps us identify Chile Country strategy. What do you think should be Chile´s Country Brand?? 1. ¿Guerra de precios o sostenibilidad a largo plazo? etidores el margen se ve reducido a mínimos donde corremos el riesgo de que no seamos rentables; si el volumen no se ve incrementado. La organización corre el riesgo de que le saquen del juego otras organizaciones que desarrollen una estrategia fuerte de precios sin darnos la posibilidad de poder ser competitivos. Reducir los precios puede parecer ser una estrategia que a corto plazo puede reportar unos beneficios pero que a largo plazo nos puede llevar al desastre. Hoy en día se habla de imagen de marca, de diferenciarnos, de escuchar a nuestros grupos de interés, de que sean nuestros propios clientes quienes nos hagan de embajadores, entre otros. A continuación os voy a dar una posible estrategia que nos puede ayudar a conseguir todo esto y mucho mas. En este post quiero hablar de como podemos posicionar a nuestra organización en un nuevo nicho de mercado que esta en claro aumento, la sostenibilidad. En este caso me voy a centrar en el sector Turístico pero se puede aplicar a otros. En la actualidad cuando hablamos de turismo la tendencia es ofrecer productos y servicios experienciales!!?? Este posicionamiento tiene mucho en común con la nueva tendencia, que cada día es compartida por mas viajeros que buscar algo único en sus vacaciones. Cada día hay mas viajeros del siglo XXI, los cuales utilizan internet, las redes sociales y se informan de todas las practicas que realizan las organizaciones, buscan conocer la cultura del lugar, practicas que apoyen al desarrollo de las comunidades y donde se conserve la riqueza natural de las zonas para que otros puedan descubrirla en el futuro. Es aquí donde posicionarse como una organización sostenible puede ayudar a atraer a estos viajeros que están dispuestos a pagar un precio justo por una actividad con ciertos criterios y que viajan fuera de temporada ayudando a reducir el problema de la estacionalidad. Las nuevas tendencias de los consumidores, el acceso a la información a través de internet, el riesgo en la reputación de las organizaciones hace que debamos estar al tanto de que se habla de nosotros, que contemos con una estrategia de la organización y de cómo se deben comportar los empleados de la organización. La sostenibilidad se fundamenta en escuchar a todos los grupos de interés, tener una política de conducta donde se ponga en valor las personas, la comunidad y el entorno por lo que todas las tendencias del futuro harán que nuestra organización se vaya posicionando como referente en su sector. De esta manera podremos obtener beneficios en el largo plazo tanto para la dirección, los empleados, los colaboradores, la sociedad en la que se opera y para todos los grupos de interés involucrados en nuestras actividades. Esta es una serie de 3 artículos, donde se explicará como podemos posicionarnos como una organización sostenible en tres pasos, definición de la estrategia, implantación a través de una herramienta de gestión o certificación y finalmente comunicando tanto a nivel interno como externo para recuperar la inversión realizada. ¿Crees que la sostenibilidad puede ser una alternativa viable frente a la competencia en precio? Necesita Chile una Marca País? In the workshop Guest Xperience organized by Fiturtech I had the pleasure to meet Paco Roncero, an innovative chef of Casino de Madrid. He put forward the idea of creating unique experiences in restaurants. He showed us how to present dishes in restaurants in a different way, considering all the senses and not just taste. We were showed an example of a menu designed at his restaurant. It started with “Paella” showing some images as if we were under an orange tree and next to a fire (Sight). Then a video of the process of elaboration, based on olive oil and creating every grain of rice individually. A cushion with the aroma of fire and barbecue under the plate (smell). The table heated under the plate to leave the feeling that there was a fire underneath (touch). At the end it created a unique experience, making us feel as if we were in the “albufera in Valencia” enjoying a local “paella”. The second plate was a deer hamburger and he indicated that the experience doesn’t always have to be sweet and tender; it can also be brutal and shocking. It began with a video of a bloody seen based on de TV series “Dexter” to introduce us in to the hunting meat (sight). This was accompanied by the music “the beast in me” (Hear) and at the end there where images on the table (Sight), creating the experience that we had to hunt what we were about to eat. The dessert was focused as a game. Be creative, loose the fear and be a child again. It started with a video of some artists that are experimenting with some different fluids and textures and how by letting these fluids drip at different heights on top of a cube they could create different geometrical forms as they moved at different speeds. The dessert used the same idea with a chocolate cube and different textures of caramels. Paco explained how at the beginning it was very difficult for them to achieve this and when they were about to give up the inspiration came from the mixture of different profiles working at the same time. The innovation comes in the most unexpected time. It was actually a day that a technician was fixing an oven in the kitchen as when he saw them he said that the problem was the surface tension; something the chefs would have never guessed. They were using a cube made of cupcake and it did not let the fluids move in a smooth way, so they changed it for chocolate and where able to get the expected result. This is a very good example of how things can be done in a different way. This is an example of a restaurant but it can be applied to other sectors. The idea that I would stand out is that quality is the most important thing but once we have a recognized product we need something unique, to make us differ from the competitors. Technology can be a good ally but there are also other ways to be innovative. The most important thing is to change the way we do things. To have a team with diverse experiences and profiles which is something very common in the tourism industry is a great potential to create innovation and should be promoted. Different point of view will help in being more creative and seeing things from another point of view. There is an African expression which I think could be uses to show; what is the most important issue when working in a collaborative environment with different profiles and to be able to be sustainable in time. En el taller de Guest Xperience organizado por Fiturtech estuvo presente Paco Roncero, cocinero innovador del Casino de Madrid. Nos trasladó la idea de crear experiencias únicas en los restaurantes. Como presentar los productos en los restaurantes de una forma diferente y tener en cuenta todos los sentidos, no solo el gusto. Comenzaba con una Paella mostrando en la mesa imágenes como o si nos encontráramos debajo de un naranjo y al lado de un fuego: (Vista). Mostraban un video con el proceso de elaboración, basado en aceite de oliva y creando grano a grano de arroz. Un cojín con aroma a fuego y brazas debajo del plato (olfato). La mesa se calentaba debajo del plato, para dejar la sensación que ha estado en el fuego (Tacto). 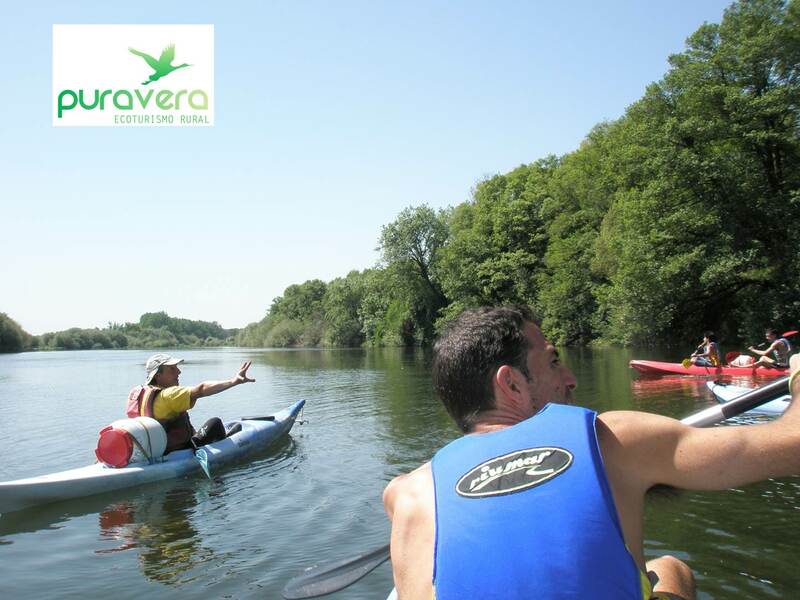 Al final se creaba una experiencia única; haciéndonos sentir que estamos en la albufera en valencia disfrutando de una paella. El segundo plato era una hamburguesa de ciervo y nos indicaba como no siempre la experiencia tiene que ser tierna y dulce, también puede ser brutal o impactante. Comenzaba con un video bastante sangriento basado en “Dexter” para introducirnos en la carne de caza (vista). Se acompaña con una música, “the beast in me” (oído) y al final se mostraban imágenes en la mesa (vista), creando la experiencia de tuvimos que cazar la presa que nos vamos a comer. El postre se enfocaba como un juego. Ser creativos para perder el miedo y volver a la niñez. Comenzaba con un video de unos artistas que juegan con diferentes fluidos con diferentes texturas y al echarlo en un cubo a diferentes alturas se mueven a diferentes velocidades creando unas formas geométricas muy bonitas. El postre utilizaba esta misma idea con un cubo de chocolate y con diferentes caramelos de diferentes texturas. Paco nos comentaba como al principio no conseguían que funcionará y cuando estaban a punto de tirar la toalla surgió la inspiración de la mezcla de perfiles que se juntan en el proceso creativo para innovar. La innovación llega de en el momento más inesperado; un día que visitaba un técnico que arreglaba un aparato en la cocina los vio y les comentó que no funcionaba por la “tensión superficial”, el problema era la magdalena que no dejaba que los líquidos fluyeran de forma simétrica, por lo que cambiaron el cubo de bizcocho por chocolate y consiguieron el resultado esperado. Este es un ejemplo muy bueno de que las cosas se pueden hacer de otra manera. Este es un ejemplo de un restaurante pero se pueden sacar algunos conceptos muy interesantes para otros sectores. La idea que yo resaltaría de esta iniciativa es que la calidad es algo crucial pero una vez tenemos un producto o servicio de calidad reconocida es necesario buscar como diferenciarnos. La tecnología puede ser un gran aliado pero también existen otras formas de ser innovadores y lo más importante es cambiar la forma en la que hacemos las cosas. El tener un equipo de personas con diferentes experiencias y perfiles; algo que suele suceder en la industria turística, es un gran potencial para crear innovaciones ya que todos podrán aportar diferentes puntos de vista que ayudarán a ser más creativos y ver las cosas desde otro punto de vista. Hay una expresión africana que me creo que me puede servir como cierre y que pone de manifiesto el mayor beneficio de trabajar de forma colaborativa; que en mi opinión es el ser sostenible en el tiempo. “Si quieres llegar rápido vete solo pero si quieres llegar lejos vayamos juntos”. One more year at Fitur meeting with old friends and getting to know some new professionals. This year I´ve also been able to attend several seminars of FiturTech and FiturGreen and the general message put forward is that the type of visitor is changing. Their motivations and what they look for are normally a memorable experience and we need to adapt in order to fit into this new niche that is clearly increasing in strength. In the nineties, the question was; where do you travel? The place was important, I would say I´ve been to this location or this destination. At the beginning of this century the question evolved to; what did you do? Understanding that the destination is secondary and what is important is the activity, skiing, hiking, golf, among others. Finally tourist of today and more importantly visitors of tomorrow seem to add to these two questions, how did you do it? & with Whom? Putting the emphasis and the importance on the experience and how unique. Move away from the traditional trip and look for something different with local people who know the destination and are able to offer something exclusive, creating that memorable experience to the visitor. As a responsible traveller and entrepreneur who always try to put the emphasis of promoting a sustainable tourism that puts into value the natural and cultural resources, promoting the local business and the local heritage it seems our time has come to stay. This type of tourism also helps to develop remote and deprived areas as the tourist expenditure goes directly to the local economies helping them to thrive while preserving their local heritage. It also requires lees investment in infrastructure as it uses the local systems and reduces economic speculation; meaning everybody wins. I have met with former colleagues and have met many new consultants and travel agents that promote sustainable management practices and local development through cultural activities. There is a strong commitment to increase training for heritage interpretation and for local guides. There is also promotion of local practices, local architecture, reduction in energy consumption and use of local materials and investment in more efficient technologies. With this post I appeal to all those friends and to all those colleagues looking to travel in a responsible way to continues to encourage this type of tourism and help us to get out of the difficult economic situation that many of us are facing. As a final thought I´d like to think that its bee the actual crisis the turning point that has made us be aware of what really is vital. What is the most important reason why we travel? In my case and I think every day of more travelers; is to find ourselves through discovering other cultures and ways of life. The most important factor and what makes a trip memorable, leaving a trace in us; is always the people. Let’s promote and preserve cultural and natural diversity, not only for the future generations but simply out of pure selfishness in order to be able to learn from them and be able to discover ourselves in the process. Tourism of the Future: is the Responsible Tourism; the truly memorable tourism! 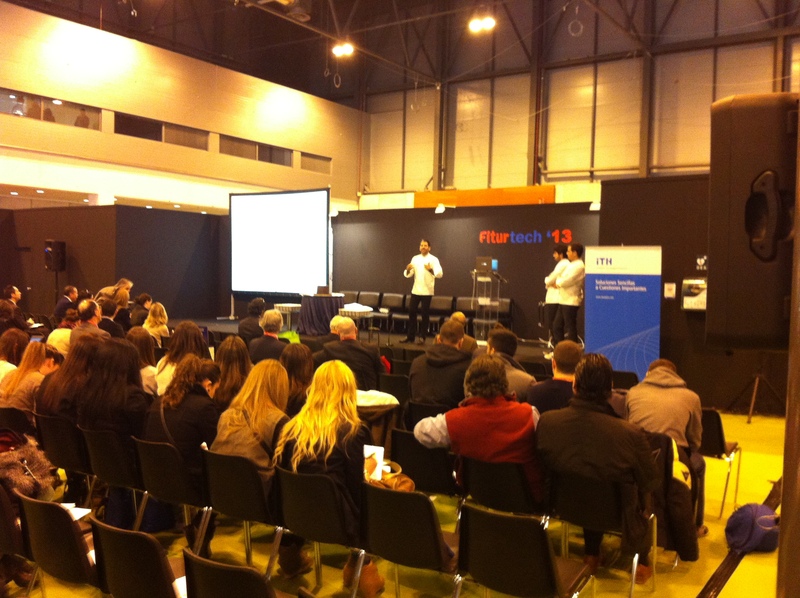 Un año más en Fitur reuniéndome con antiguos amigos y conociendo nuevos profesionales; además este 2013 he podido asistir a varias jornadas de Fiturtech y Fiturgreen y el mensaje general que me llevo es que estamos ante un tipo de turista o viajero diferente que hace años, donde sus motivaciones y lo que busca con viajar es una experiencia memorable y debemos adaptarnos y saber entrar en este nuevo nicho ya que esta en claro aumento. En los años noventa la pregunta era; ¿Dónde viajas? El lugar era lo importante, el poder decir he estado en este destino u este otro. El turista de hoy y del mañana parece que además de estas dos preguntas también busca el ¿Cómo lo vas a realizar? e incluso ¿Con Quién? Lo que pone el énfasis y la importancia en la experiencia y que esta sea memorable. Es salir de los viajes tradicionales, disfrutar de experiencias únicas con gente que conoce bien los destinos y son capaces de ofrecer algo diferente, creando un recuerdo memorable en el visitante. Como viajero y empresario del sector de turismo responsable que siempre ha intentado poner en valor los recursos naturales y culturales, promoviendo la implicación local y el fomento de las tradiciones parece que nuestro momento está llegando para quedarse. Además este tipo de turismo permite que el gasto del turista repercuta en desarrollo sostenible de la zonas donde se asienta; gracias que las actividades se realizan por la población local y ayudan a conservar el patrimonio de la zona, siendo necesarias muchas menos inversiones en infraestructuras y reduciendo la especulación. Me he reunido con antiguos colaborados del sector y he conocido a muchos otros nuevos que fomentan la gestión sostenible y el desarrollo local a través de actividades culturales, con una fuerte apuesta por la formación e interpretación del patrimonio desarrollada por la población local y alojamientos integrados en el entorno que promueven arquitectura local, la minimización de consumo de recursos y que invierten en nuevas tecnologías más eficientes. Desde este blog hago un llamamiento a todos estos amig@s y a todos aquellas personas que buscan viajar de una forma responsable para que fomentamos este tipo de turismo ya que nos ayudará a todos a poder salir de esta situación tan difícil en la que nos encontramos. Aunque como última reflexión me gustaría pensar que igual ha sido gracias a esta crisis, que nos ha hecho ser más conscientes de lo que realmente es importante, de cuál es el motivo más importante cuando viajamos que en mi caso y creo que cada día el de más viajeros es para encontrarnos a nosotros mismos a través de descubrir otras culturas y otras formas de vidas. Lo más importante son las personas y es lo que hace un viaje sea memorable y que consigue dejar huella en nosotros. Fomentemos conservar la diversidad cultura y, natural no solo para las futuras generaciones sino simplemente por el propio egoísmo de descubrirlas y que nos aporten en el proceso de descubrirnos a nosotros mismos! El turismo del Futuro es el Turismo Responsable; el turismo memorable de verdad!